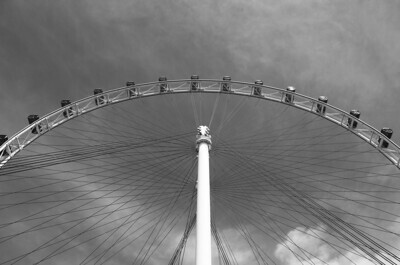 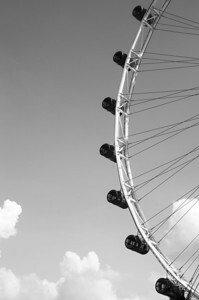 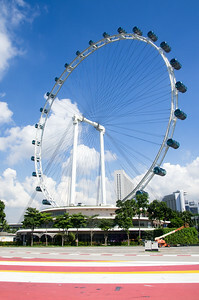 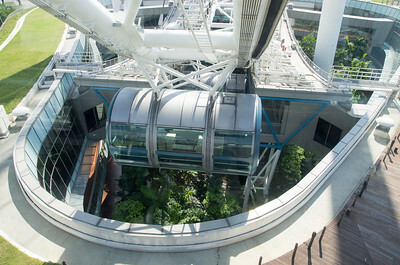 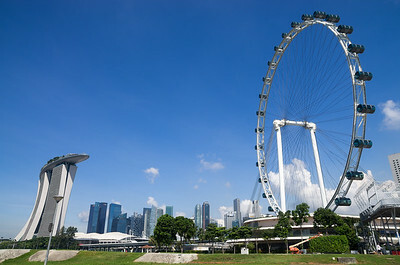 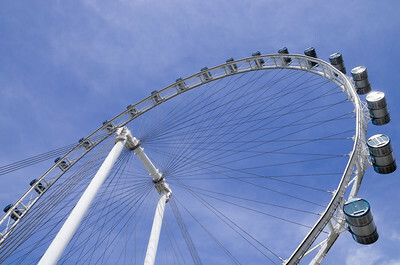 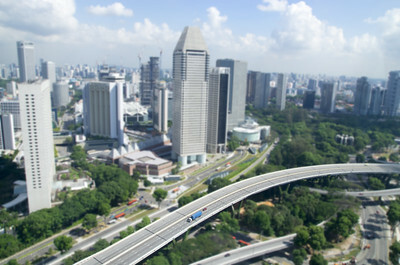 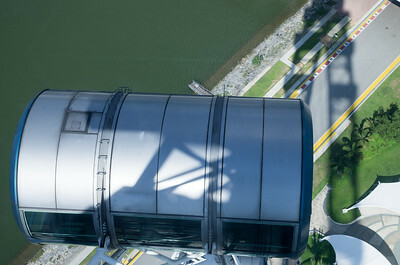 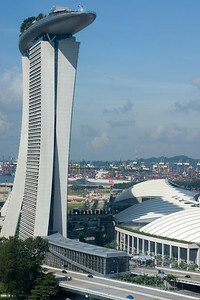 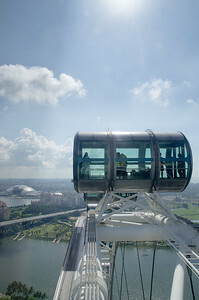 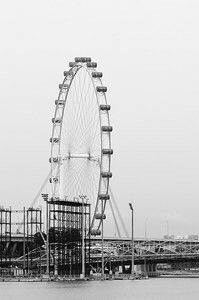 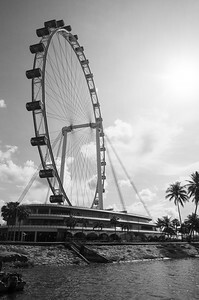 The Singapore Flyer is a giant Ferris wheel in Singapore. 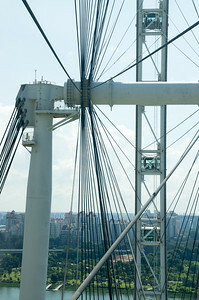 It opened in 2008, construction having taken about 2½ years. 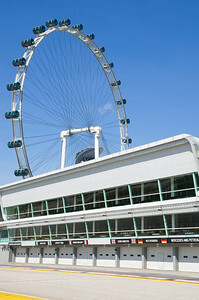 It carried its first paying passengers on 11 February, opened to the public on 1 March, and was officially opened on 15 April. 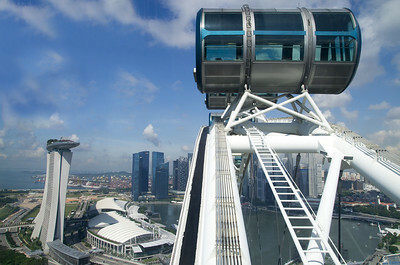 It has 28 air-conditioned capsules, each able to accommodate 28 passengers. 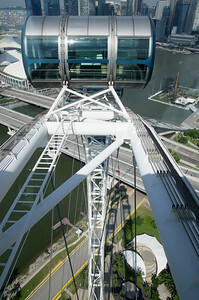 Each capsule has a floor area of 26 m2 . 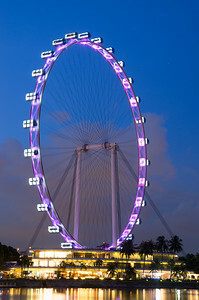 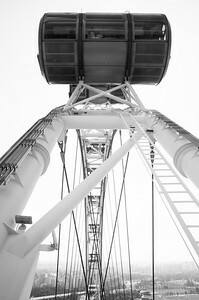 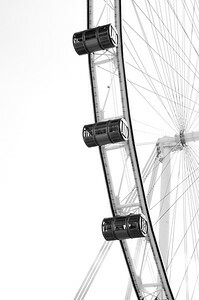 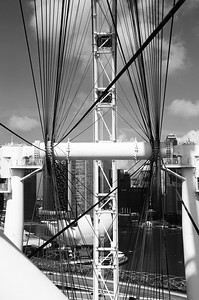 The Flyer has an overall height of 165 metres and was the world's tallest Ferris wheel until 2014. 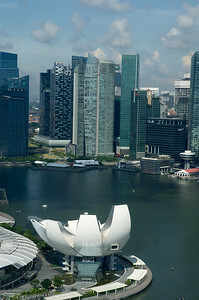 The development has a gross building area of approximately 16,000 m2, built on a 33,700 m2 site along the Marina Promenade. 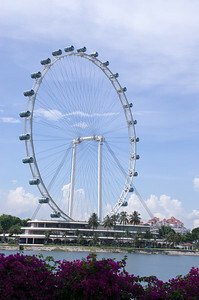 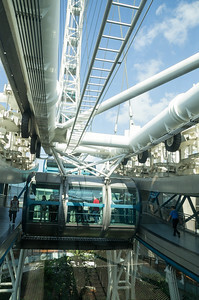 Designed by Arup and Mitsubishi Heavy Industries with a capacity of up to 7.3 million passengers a year, the normally constant rotation of the wheel means that a complete trip lasts approximately 32 minutes.